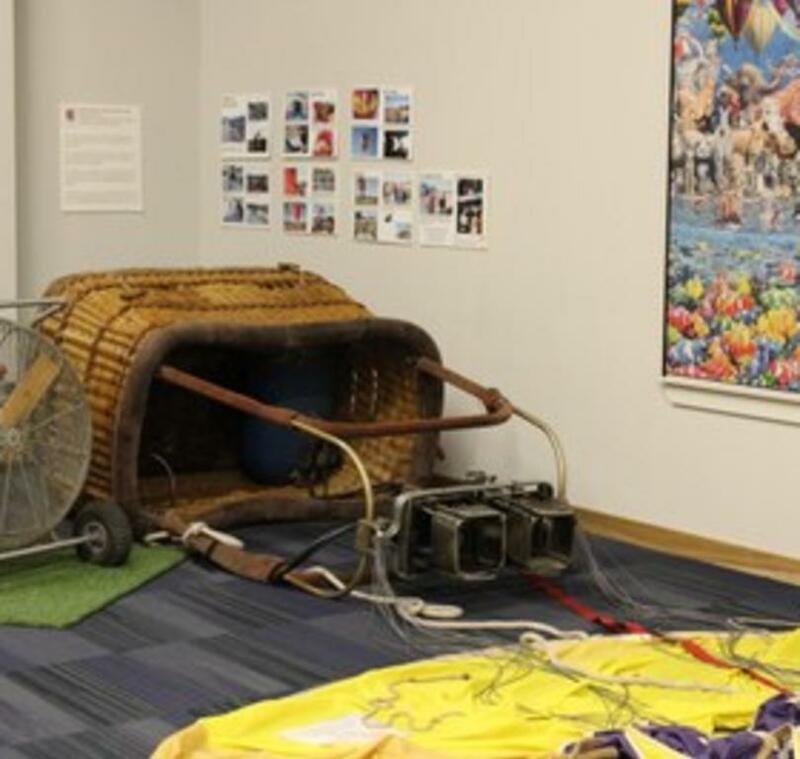 The balloon above is called “The Grape Adventure” and was donated to the Balloon Museum in memory of its pilot Chet Brown. The Balloon School is full of interesting displays and you will be surprised at how much you learn. Don’t miss our 24,000 piece puzzle entitled “Life” (alternatively “Life: The Greatest Puzzle”), originally designed by Royce B. McClure. The puzzle, pictured below, measures 14’ x 5’ and right out of the box weighed 28 pounds! It illustrates the science of buoyancy and the similarity of air and water flow.